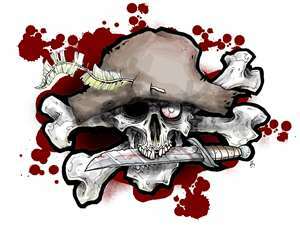 We`ve got some news fer ye fer Halloween! Also on Octobree 27th we’ll be havin' a “kid’s tide” (nay actors, lights on). Fer “Kid’s Tide” admission be $5 (fer children age 12 an' younger) an' $10 (all swabbies older'n 12). “Kid’s Tide” be 2-5 pm. We've got some news for you for Halloween! Also on October 27th we’ll have a “kid’s day” (no actors, lights on). For “Kid’s Day” admission will be $5 (for children age 12 and younger) and $10 (all persons older than 12). “Kid’s Day” will be 2-5 pm. 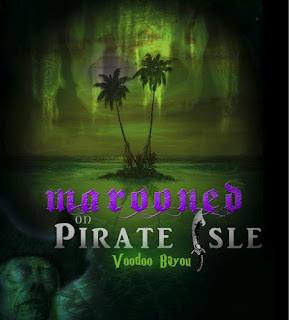 Arrr...here be th' band o' pirates that be crewin' th' haunt! Thank you to everyone who tried out. Not every actor is included in the cast list some of you we will contact personally. The 2013 Season has been set! There were a LOT of great submissions for this season, which led to a very diverse season. 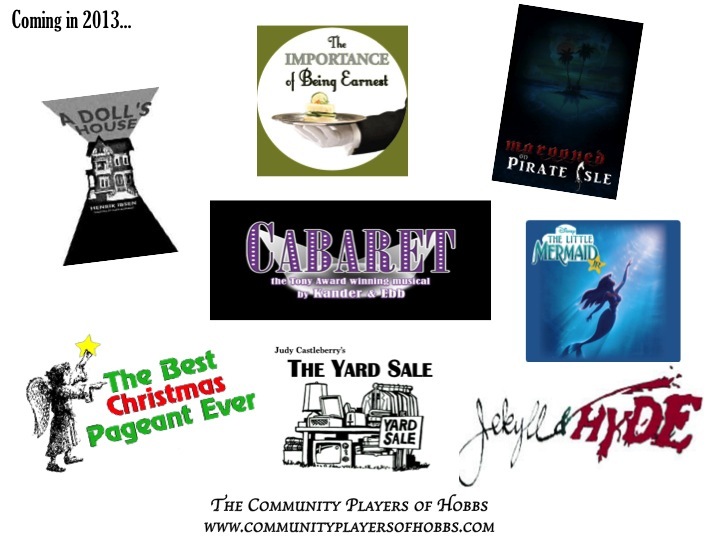 Congratulations to all the directors for what will be a great 2013 season! Board meeting Sunday, Oct 14 at 1:30 to set 2013 season. The meeting will be at 2638 N Jade Ave. NOTE: SECOND AUDITION IS THURSDAY, 10/18/12, ORIGINAL POST WAS IN ERROR. Apologies for any confusion. Auditions for actors in the Haunted House will be Monday, 10/15/12 and Thursday, 10/18/12, both nights at 7 PM at the Playhouse. Please try to make both audition nights! 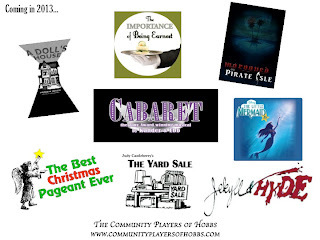 Playhouse news update...Christmas show, Haunted House, and more! 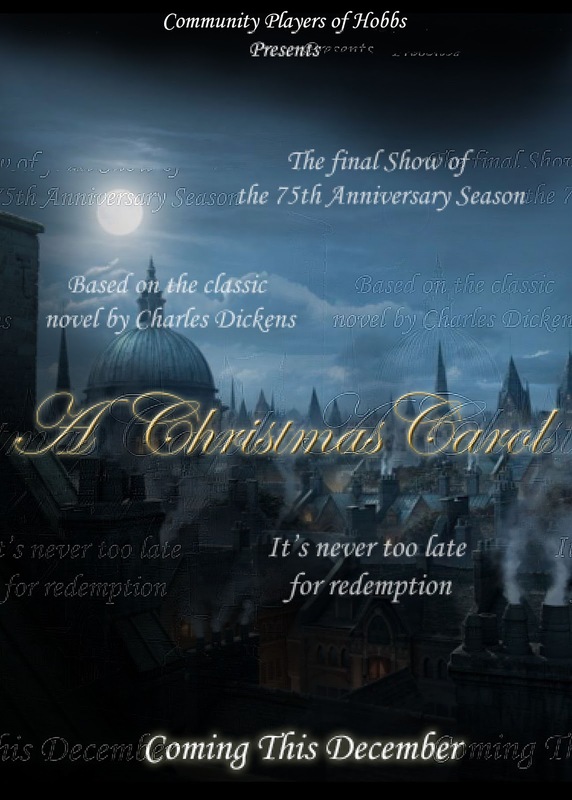 AUDITIONS FOR CHRISTMAS: Auditions for "A Christmas Carol" will be Thursday, Oct. 4, and Saturday, Oct. 6, at 7 p.m. at the Western Heritage Museum. The show will be presented on Dec. 10, 11, 13, 14, with two shows on the 15th. The first feature will be Hobbs High School's drama students (directed by Summer Rickman) in a production of "The One And Only Santa Claus" by Pat Cook. 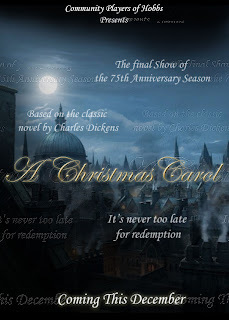 Following an intermission with carols by the a capella group "Accidental Harmony", "A Christmas Carol" directed by Nathan R. Miles will be presented. The cast of "A Christmas Carol" calls for multiple ages. HAUNTED HOUSE: Load in for the annual Haunted House will be Saturday, Oct. 6, at 8:30 a.m. All hands and volunteers are welcome. Haunted house dates have not been finalized but they will likely be the weekend before Halloween as well as Halloween evening, which falls on a Wednesday. Contact Daniel Russell or Juston Harlin for more information. There will also be call soon for those wanting to act in the haunted house. MELODRAMA: Thanks to everyone for making the melodrama a great success. There were large crowds most nights who walked away smiling. Thank you to the cast for a quick strike. So many people volunteered for the show — whether it was to serve soft drinks, run the house, sell tickets, work back stage, run the lights, act, etc. — it was awesome to see. ADDITIONAL STORAGE: The new storage shed is almost done. It needs the front garage style door put on as well sealing up the ceiling/roof from leaks for final inspection. Volunteers are needed to help finish as we are in big need of the storage. Contact Chris or Shoshana Howell on how to help finish this project off. NEW CHAIRS: The Playhouse now has 87 new gray stacking chairs. This will be used for supplemental side seating at shows when needed. Please help to keep these chairs nice by treating them the same way as our maroon chairs. Special thanks to Larry Harlin and Wally Hill who transported the new chairs to Hobbs. They were wonderful for the melodrama. POPCORN MACHINE: For those who may have missed it, the Playhouse has its own large popcorn machine that was used during the melodrama. Thanks to Jay for storing and keeping the machine in popcorn popping condition. 2013 SEASON: No decisions yet have been made on the 2013 season. Board members and others are busy reading scripts. Thanks to all who volunteered to direct. Picking a season is one of the most critical decisions the board and the community theater can make. It can mean a successful season for audiences, for actors and directors and financially for the Playhouse. We can't make everyone 100 percent happy in this decision-making process but we appreciate everyone's efforts and understanding. TICKETING: The use of online ticketing continues to be a great success. However, there are some potential patrons who don't have access to a computer, etc. If you come across them, please assist them by either going online for them, referring them to the house manager of the respective show, or a trained Playhouse member. SCHOLARSHIPS: Applications are now being taken for the 2013 Carl Busch Scholarships. Deadline is Dec. 31. Application is online and open to those who will be or are attending college. LINE: The show "Line" by Horowitz, directed by Jonathan Bertshinger, is already in rehearsal. Be sure to watch the trailers (very funny insight) and remember it is absolutely free, November 15,th 16th, 17th (8PM) and 18th (2PM).